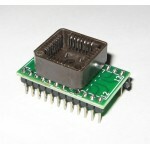 This adapter is suitable for any programmer that supports your chip in WSON8 p..
PLCC20/28/32/44 to DIP20/24/28/32/40 This PLCC adapter set supports.. 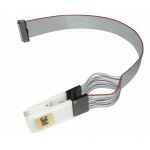 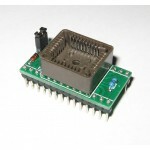 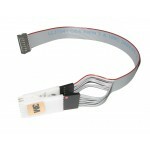 This adapter supports the MBM27C1028 EPROM, And can be used on GQ-3X.. 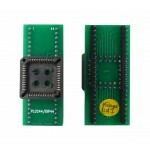 These Adapters support many of the 120mil (3x3mm) MSOP8 EEPROM Chips ..
20 Pin ZIF 2.54mm Pin Spacing Supports Most Programmers Including: ..
24 Pin ZIF connection 2.54mm Pin Spacing Supports Most ..
28 Pin DIP 2.54mm Pin Spacing Supports Most Programmers Including: GQ ..
32 Pin ZIF connection 2.54mm Pin Spacing Supports Most Programmer..
40 Pin ZIF 2.54mm Pin Spacing This adapter can be used with the ATMEL..
PLCC44 to DIP44 Pitch: 1.27 mm Supports: Xeltek, Wellon, Top, L.. 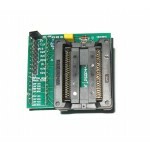 Supported Hardware: GQ-4X & GQ-4x4 Only* This V..
Used for ECU chip tuning and many other circuit boards that have these flash chips &nbs.. 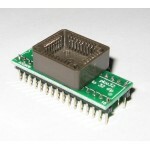 The PSOP44 to DIP44 adapter is for use with 44pin PSOP/SOP Flash Chips and supports p.. 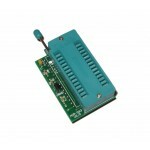 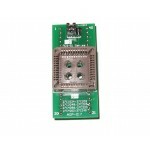 Suitable for using with many different types of surface mount eeproms, and any programmer .. 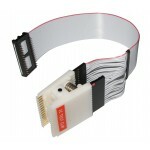 These adapters support many 16 way & 8 way 150mil EEPROMS Suita.. 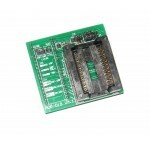 These adapters support many 300mil wide EEPROMS and Suitable for any programmer ..
Specification: IC Width: 7.5mm-8mm (300mil) Pitch: 1.27mm IC:..
150mil WIDE These Adapters support many different 150mil&.. 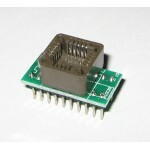 These Adapters support many of the 169mil SOP8 EEPROM Chips and are Suitable for ma..
ADP-063 V2.0 | GQ-3X GQ-4X Supported Hardware: GQ..